Peak period: Easter and Christmas Day to New Year’s Day. Shoulder period: NSW and QLD school holidays. Off peak period: All other times. Minimum 3 night stays apply. Where available, shorter stays incur a surcharge. Park entry fees are not required to access Partridge Cottage and Geoffs Shed. For award-winning holiday accommodation with a difference, head to Partridge Cottage in Cape Byron State Conservation Area. 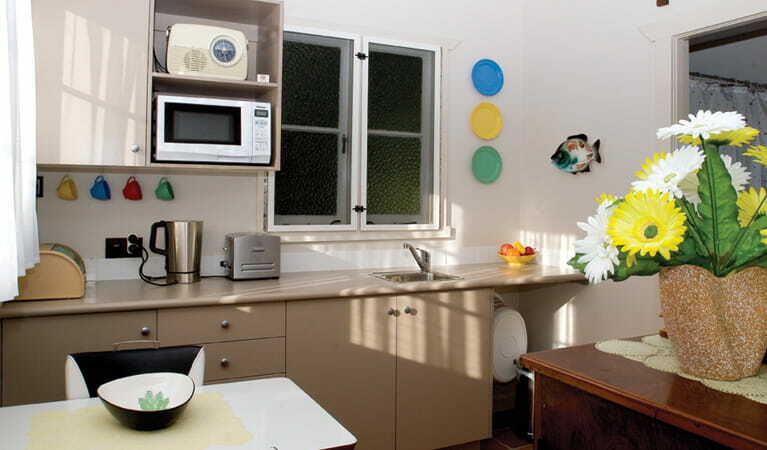 This unique cottage recalls the classic Aussie beach holiday and provides a wonderful escape to one of Australia’s premier beach destinations. 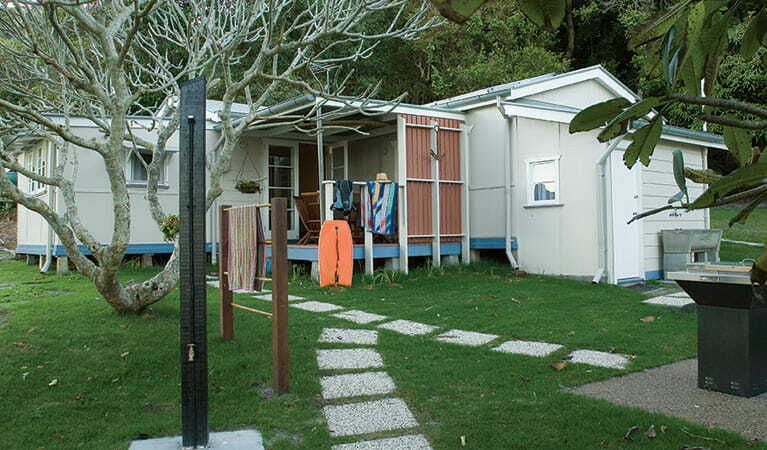 Step back in time for a retro beach holiday in this original north coast beach shack and adjoining studio. 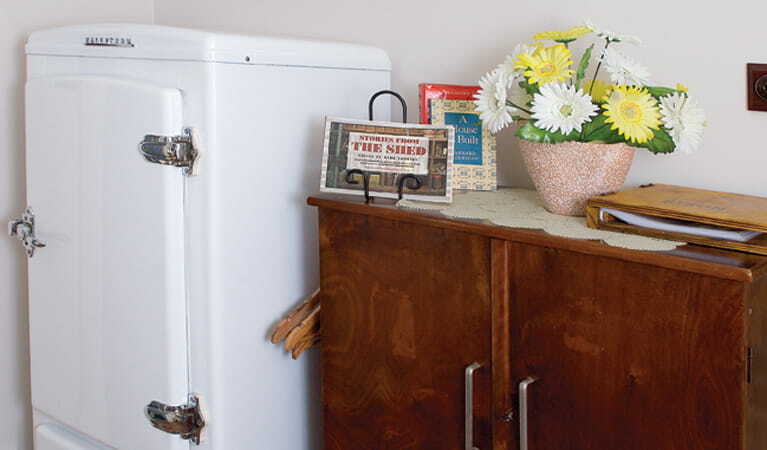 The cottage has been tastefully renovated to reflect Fifties fashion. With ECO certification, it’s fully equipped with all the modern creature comforts. 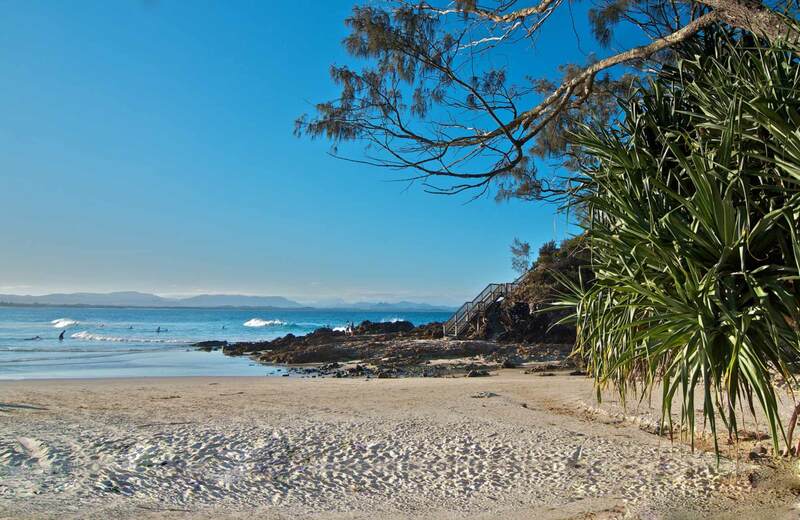 There’s direct access to Byron Bay’s main beach and your neighbours are the wildlife residents of Cape Byron State Conservation Area. 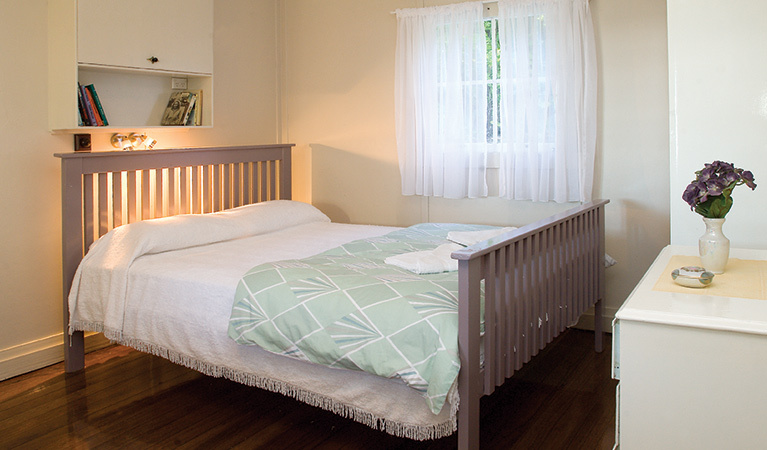 Wake to water views and the sound of crashing surf, chill at the cottage, relax on the beach or enjoy Byron’s many activities. 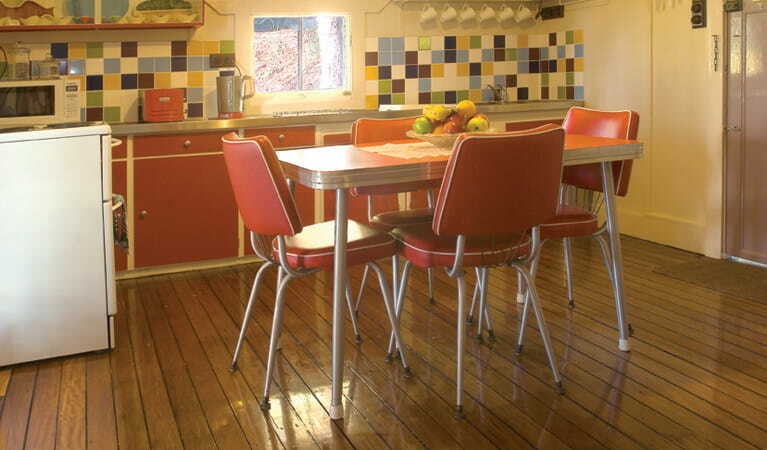 In the evening, it’s time to cook up a barbecue feast on the deck, with an ocean soundscape.